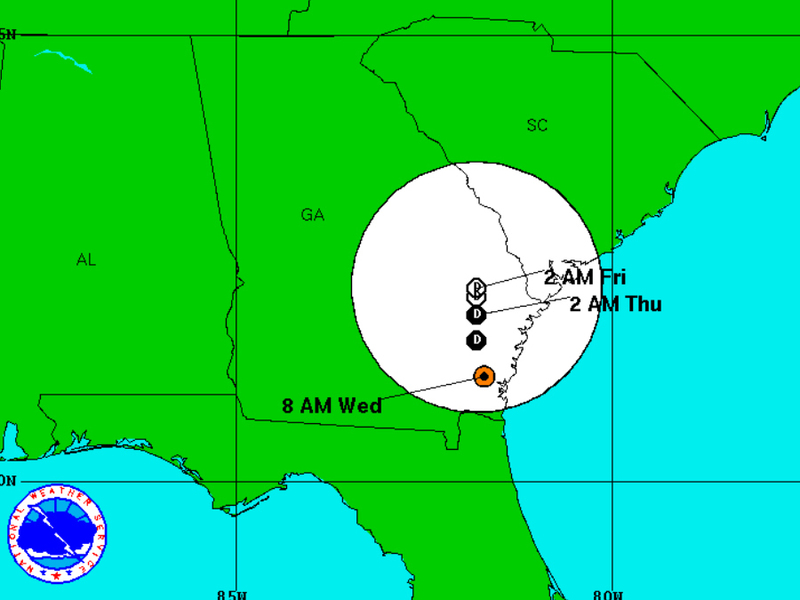 Tropical Storm Julia formed over Florida overnight, and now it's bringing heavy rain and strong winds to northern Florida, southeast Georgia and the South Carolina coast. 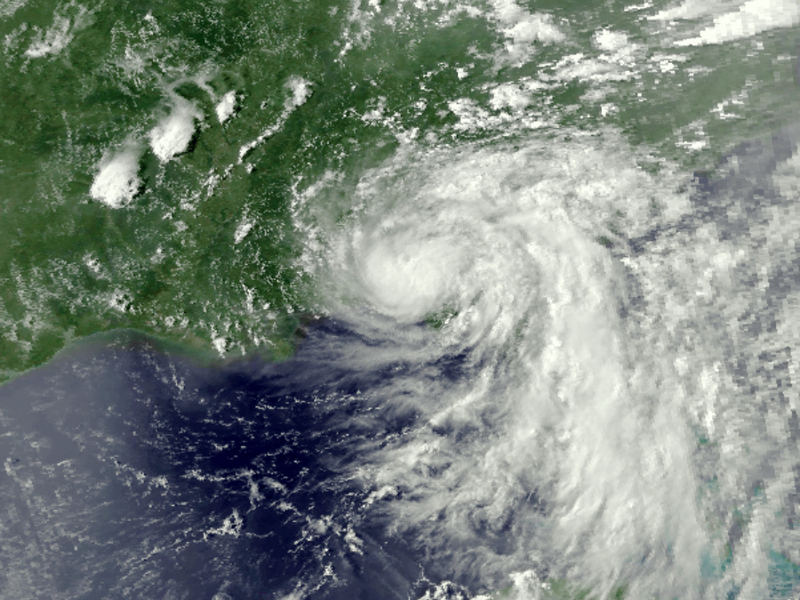 Since Julia's entire life will be spent over land, a tough place for hurricanes to maintain their strength, it's likely to be short, dissipating within the next two days. 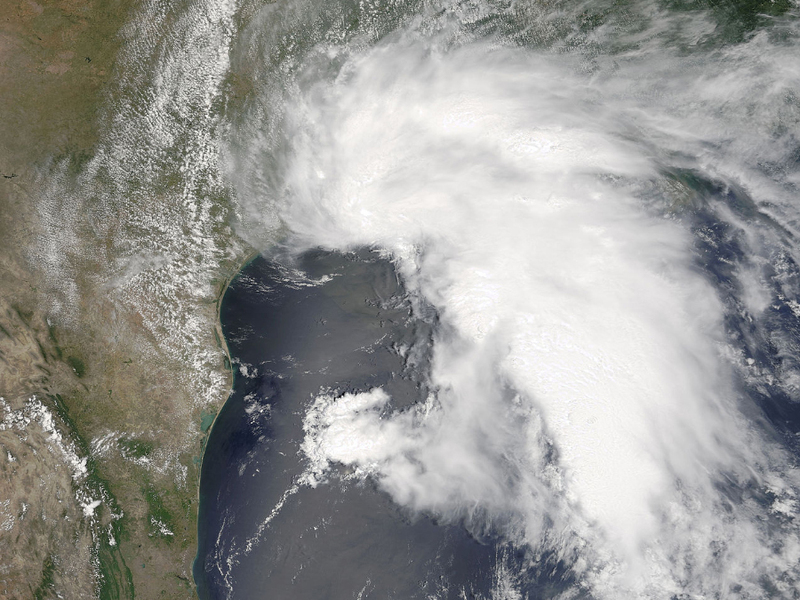 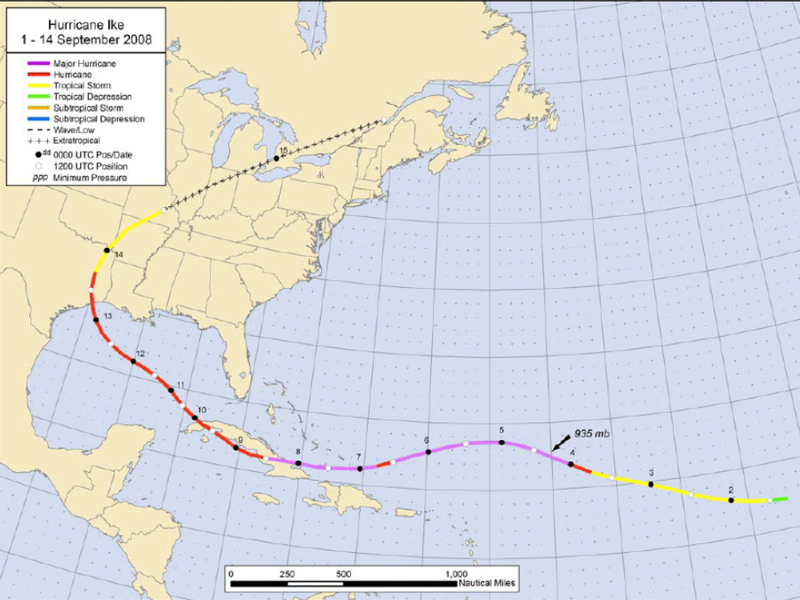 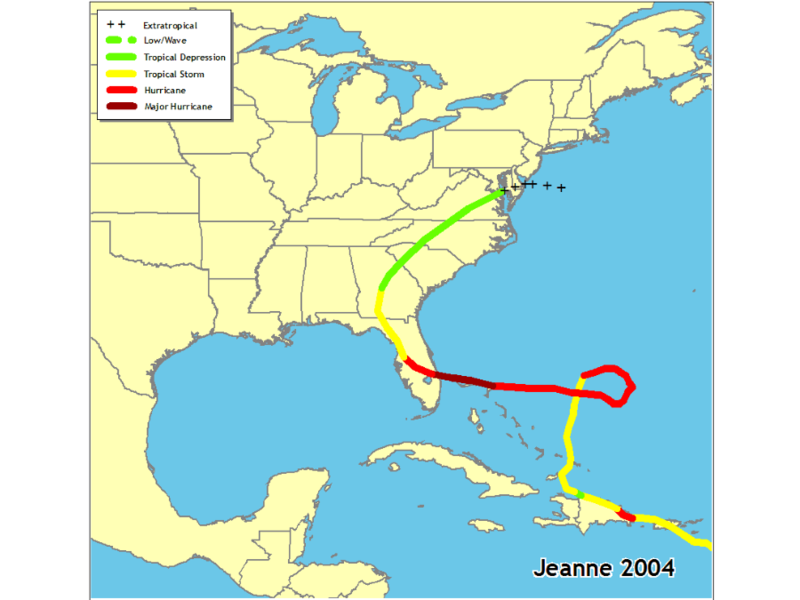 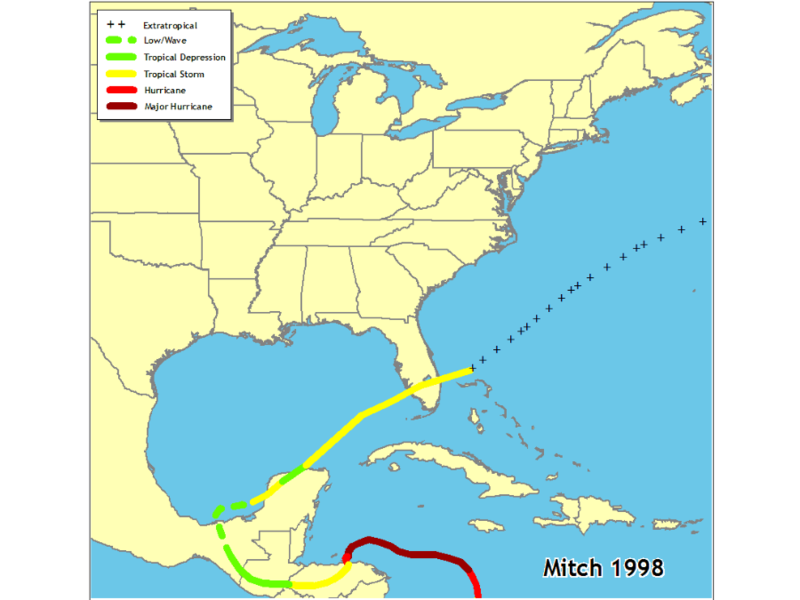 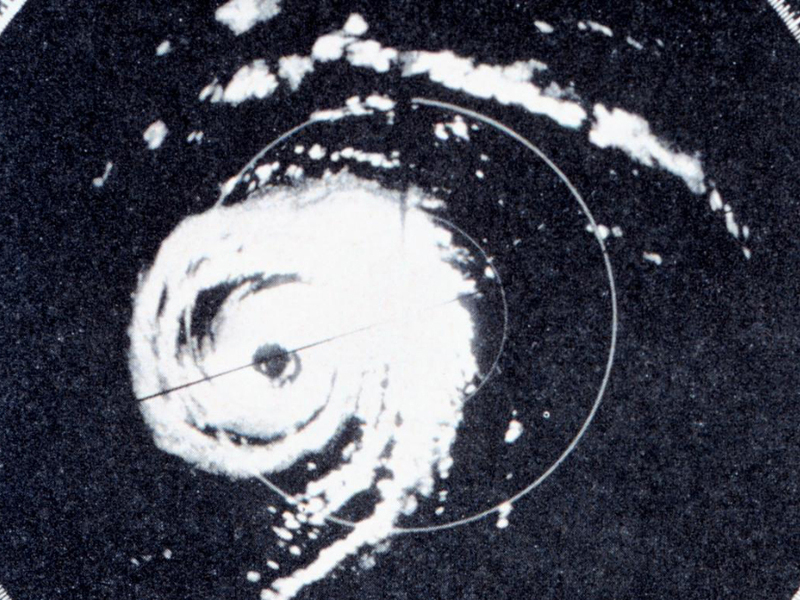 Donna was like many other hurricanes, and it didn't take an unusual path. 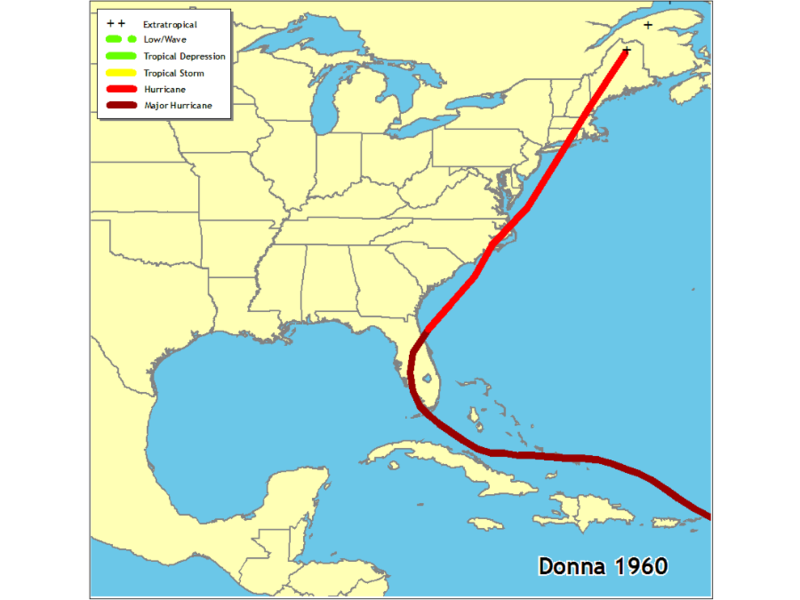 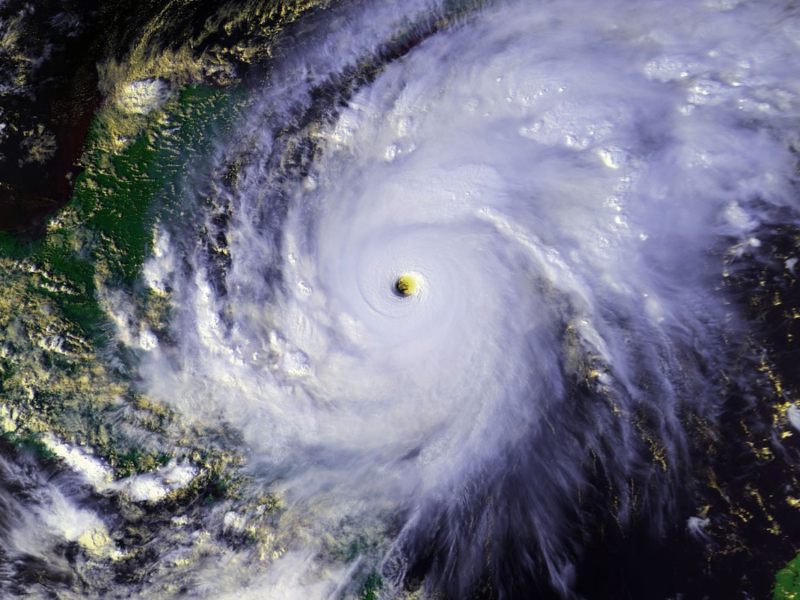 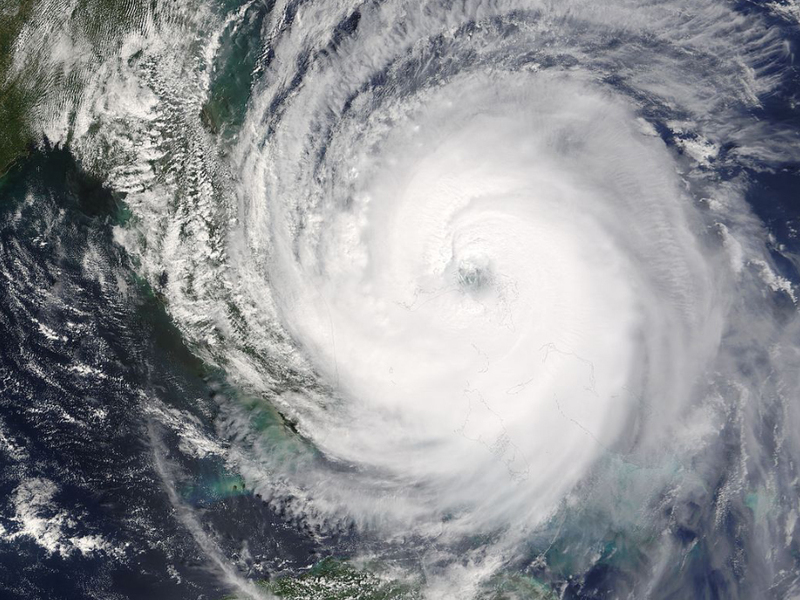 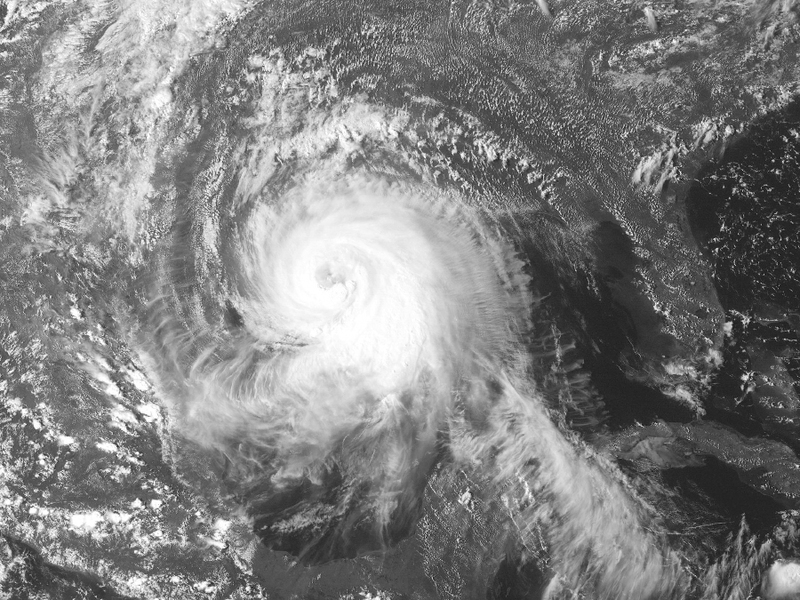 Donna's claim to fame is the only hurricane on record to produce hurricane-force winds in Florida, the Mid-Atlantic and in New England! 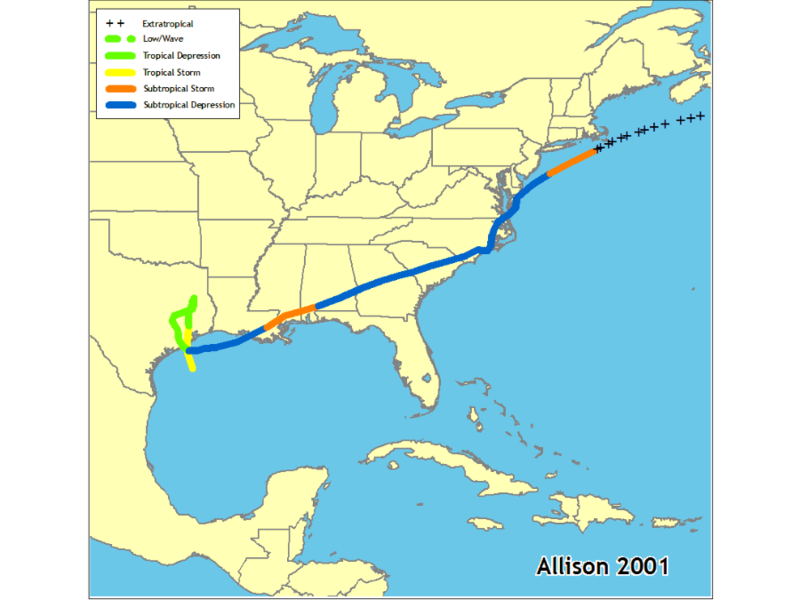 And sometimes, suggested solutions to hurricanes is just as unusual.